It’s feast day :-) time to indulge that palate with something delicious and flavorful. ipokritong sosyal wahahaha (hypocrite socialites??? is my english correct?) . They eat low calorie pulutan then drink high calorie beers ? and what for? to minimize the intake of calorie? :-) ok fine. 1) Prepare the sauce. Chop the garlic using a mortar and pestle. 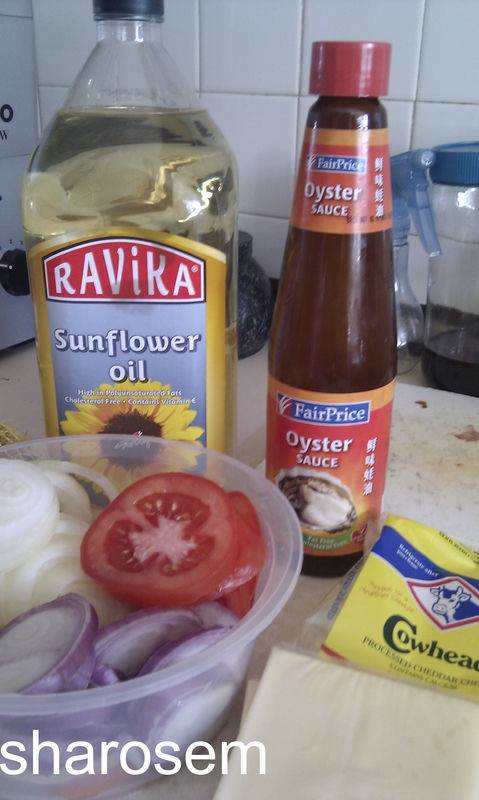 Add Oyster sauce, sweet sauce, salt, & pepper. Set aside. Aluminum foil. 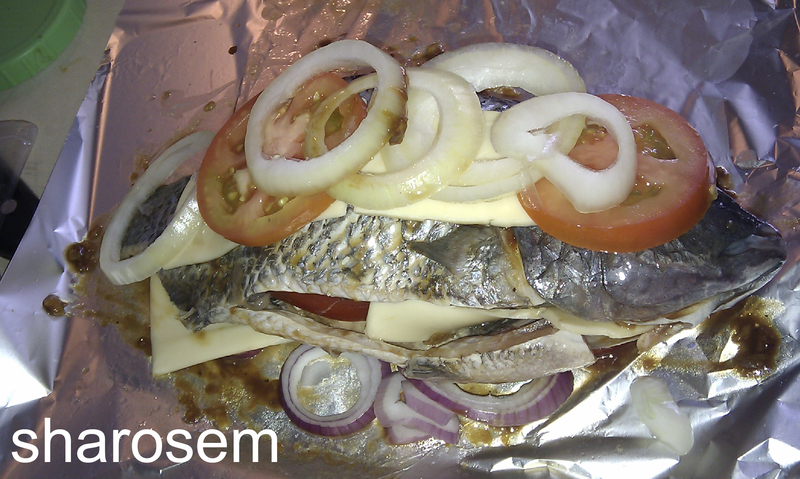 Spread 1-2 tsp of the sauce, then a layer of onions and tomatoes, then a slice of cheese, the stuffed tilapia, then a slice of cheese, a layer of onions and tomatoes, then drizzle with 1-2 tsp of sauce. 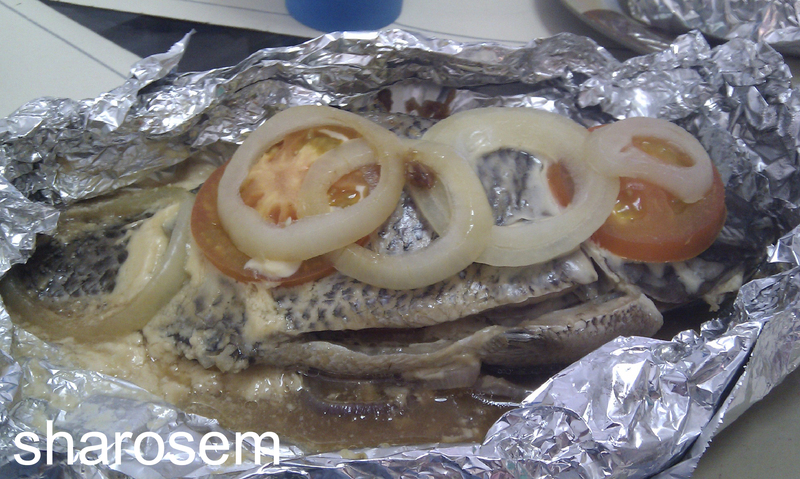 4) fold in the aluminum foil and seal properly so that the sauce will not ooze out. 5) Place in a double boiler and steam for45 minutes. Serve. A Bowl of Black Chicken Soup Anyone?